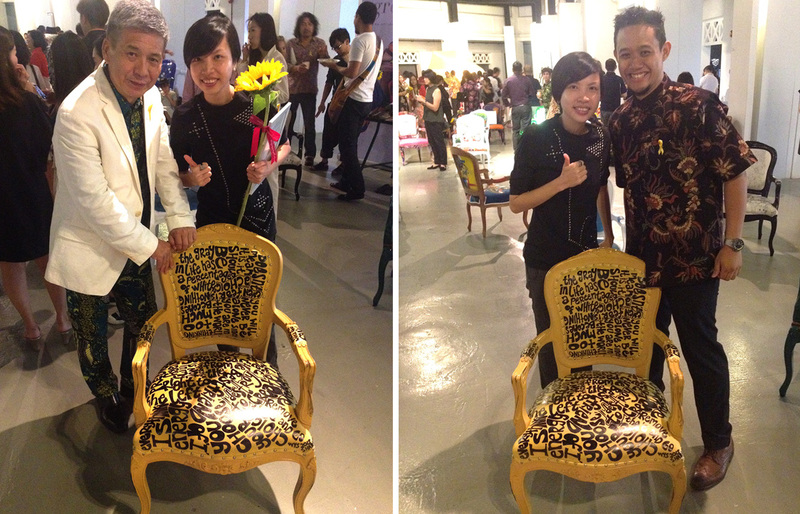 chairity 2015 – arts and design against cancer. it is a privilege to illustrate on one of the 50 an european louis armchair for charity. 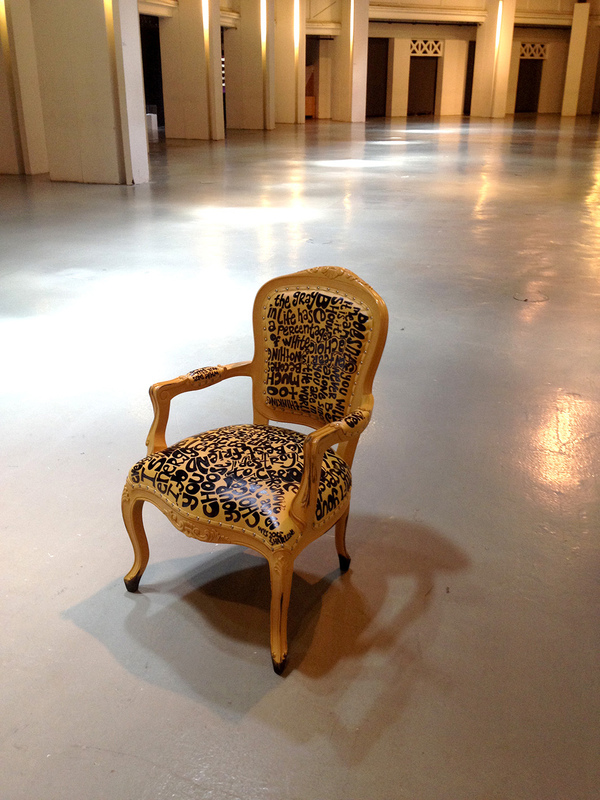 an exhibition of 50 european louis armchair illustrated by artists and designers. all proceeds to children cancer foundation. public exhibition to be held at maya gallery singapore from 2nd to 10th may 2015.
how many times have you given up after a little set back in life? why not simply destroy to create by simply changing your mindset to each difficult situation? 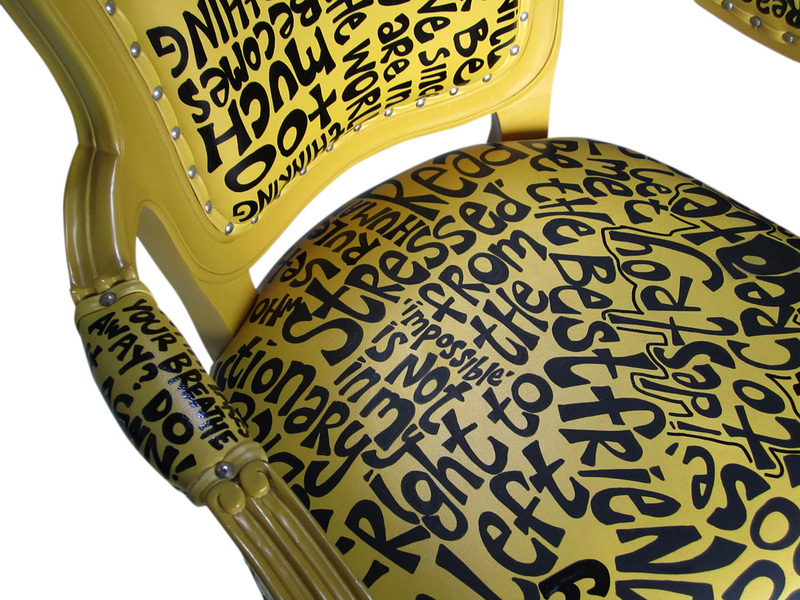 a chair filled with words and phrases of encouragement and enlightenment leaning towards positive thinking in life. self-destruction or anger is never necessary. you have the choice to always destroy to recreate.